"Physical Wellbeing is defined as something a person can achieve by developing all health-related components of his/her lifestyle. " "Wellness is a state of optimal well-being that is orientated toward maximizing an individual's potential. this is a life-lomg process of moving towards enhancing your physical, intellectual, emotional, social, spiritual, and environmental well-being"
Lifestyle coaching is a positive and active process to help clients take control of his or her well-being to the greatest extent possible. The most important single principle of health optimization is IMPROVING lifestyle. Health is in the way you live every day. Health is about YOU! 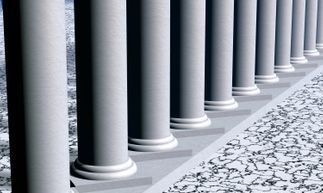 Just like an architect designing a strong foundation to support an entire structure, pillars of health and the decisions each of us make are interconnected. Lifestyle Coaching is a complementary approach to medicine. Unlike traditional Western Medical practice, which tends to focus on symptom suppression and the treatment of disease in isolation, lifestyle coaching is a holistic approach that honors the whole person. In addition to health history, behavior and environment it also views physical, emotional and spiritual health as equally important aspects of total wellness. For example: A job or career change can affect one's physical and mental health, family, relationship and environment. Lifestyle Coaching in an interactive partnership to focus on lifestyle changes that will foster a more satisfying and healthful life. This coaching approach takes an active and directive role, applying the principles and processes of life coaching to the goals of lifestyle improvements for increased levels of wellness. Includes health coaching and healthy habit planning. WNY Life Coaching Center Offers Personal Welllness Coaching. We also deliver on site corporate wellness coaching.